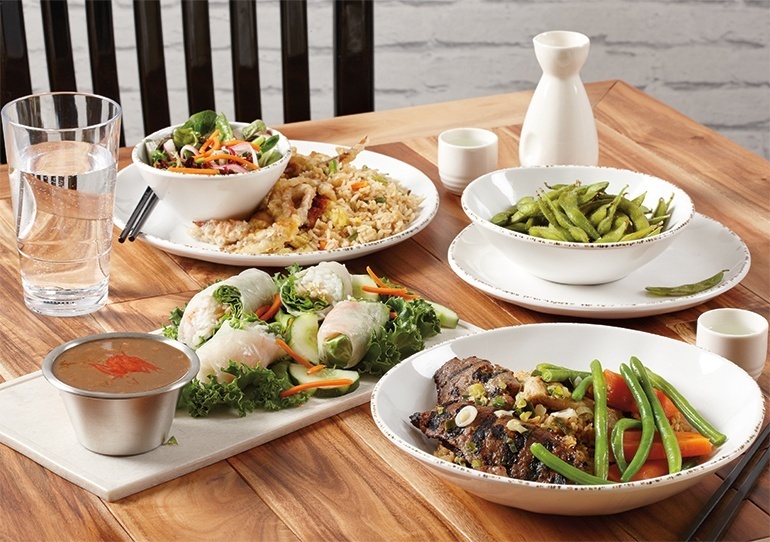 Okay, dealer sales reps out there, tell us if you’ve heard this one before: I can’t use melamine plates in my restaurant because my guests expect – demand – china. A thousand times? A million? Probably more than you can count. In reality, however, these operators are wrong. Most restaurant guests do not care whether they’re served on china or melamine, most notably because they dont notice the difference in material or even pick up the dinner plate. To be clear, guests care about many things regarding their dining experience, including certain aspects of dinnerware, but what it’s made from isn’t among their concerns. We’re here to help you break through the misconception of diners preferring china to melamine, show you what they do care about in terms of dinnerware, and highlight the benefits of using melamine plates: the most operationally friendly choice on the market. 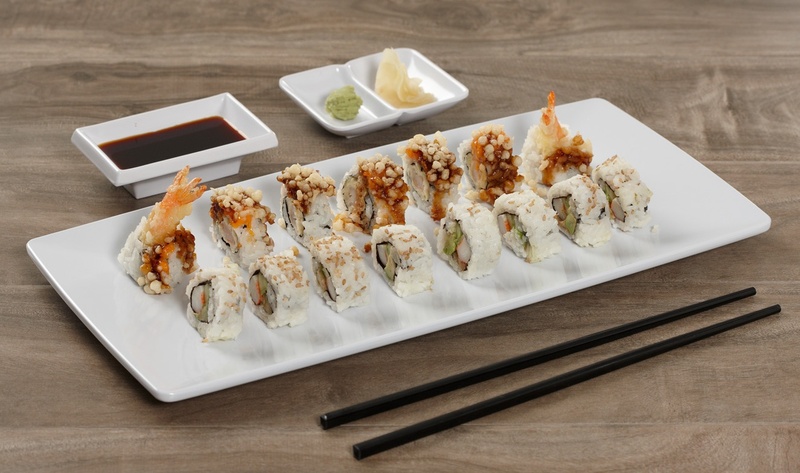 Featured: white melamine plates from Minski collection. Request a sample. Many operators don’t consider melamine due to outdated assumptions about the appearance and quality. But today’s melamine is a lifetime away from where it used to be. The Orange Country Register even reported on its comeback recently. Building some perspective with guiding questions helps get operators out of their own heads and into the minds of their guests. What Do Your Client’s Guests Expect from the Food? Watch your client’s eyes light up while they share points about their quality ingredients, unique dishes, and authentic approach to their chosen cuisine. And they’re right on this one: these are all important components of creating a share-stealing dining experience. What Do Guests Expect from Their Overall Visit? Your client may reflect for a moment and then answer with something along the lines of, “They want attentive service, a clean restaurant with a convenient location, and food served in a reasonable amount of time.” No argument here, either. Does Your Client Think Their Guests Even Consider What Their Food is Served On? In looking at the big picture through their guests’ eyes, your client probably didn’t include a single mention of dinnerware throughout this conversation. By now, your client may be coming around to your message. But if they say their guests prefer china, ask them why they think that is. Their response may range from, “I just know,” to, “that’s how we’ve always done it and no one’s complained.” But they likely don’t know why they think the way they do. If their point is that no one’s complained or expressed a different preference, that’s because their guests simply aren’t paying attention to what their dinnerware is made from. Their focus is elsewhere: on the food, on their dinner companions’ stories, or, in today’s hyper-connected world, on their phones. 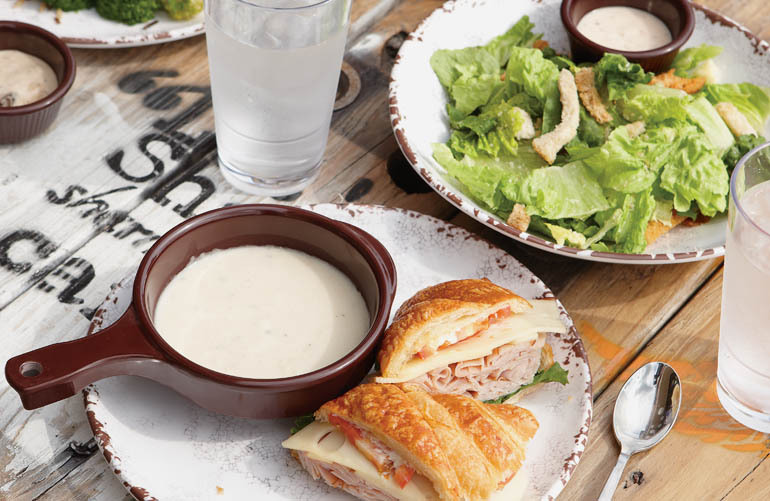 Featured: Rustic Mill™ melamine plates. Request a sample. What Do Guests Care About When it Comes to Their Dinnerware? A third party study unmasked these criteria as the most important qualities in foodservice dinnerware. The base material (china or melamine) was not a factor so long as the plates were in good condition. In other words, all the criteria link to the general condition of the plates, not the material. Both china and melamine will chip, crack, fade, or dull over time, which is why it’s important to regularly inspect dinnerware and replace any plates that don’t meet these qualifications. If your client serves on plateware that doesn’t fit this short list of guest expectations, they’re not creating a share-stealing experience, which means guests don’t have a reason to return. In today’s overcrowded restaurant industry, with the worst sales since the recession despite a healthy economy, your client can’t afford to lose guests over plates that are past their prime. The plate provides a foundation for and frames the food presentation. Guests will focus on the food unless their dinnerware is unseemly. Dingy old plates pull attention away from even the most beautiful presentation and raise questions in guests’ minds about the overall cleanliness of an operation. With the manufacturing advances over the last few years, the reality is most folks won’t even notice the difference between quality, fashionable melamine and china. Featured: White melamine tray, 2-compartment sauce dish, 1-compartment sauce dish. Request a sample. If Guests Have no Preference Between China and Melamine, Why Should Your Client? Remember when we mentioned the huge difference in replacement rates between these two materials? It’s due to melamine’s superior durability, which allows it to withstand the rigors of foodservice without easily chipping, cracking, or breaking like china. That difference in durability, and therefore replacement rates, provides substantial financial benefits to your client over the years. Let’s take a peek at a scenario. If your client pays $10/plate for 100 melamine plates, it will cost them $100-$200 to replenish their dinnerware after one year because the annual replacement rate is 10%-20%. At the same price per plate for 100 china plates, your client will pay $500-$1,500 (50%-150% annual replacement rates) to replace chipped, cracked, or broken dinnerware. Over the course of two years, melamine will cost a cumulative $200-$400 while china costs $1,000-$3,000 to replace. And the cost savings just continue to grow from there. The only reasons your client shouldn’t use melamine is if they regularly serve dishes that require the use of a serrated knife, need to regularly microwave or expose dinnerware to temps above 200°F, or if they rely heavily on bleach for sanitation. Those are the only areas where melamine doesn’t perform as well as china. 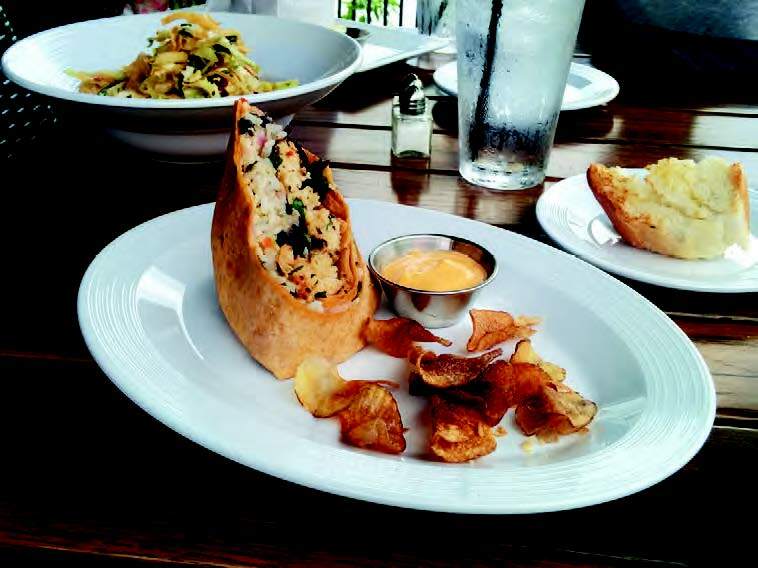 That still leaves the door wide open for the majority of your restaurant clients to benefit from the most operationally friendly foodservice dinnerware material available: melamine. Featured: Urban Mill™ melamine dinnerware collection, porcelain sake bottle, porcelain sake cup, faux matte granite display. Request a sample. With Your Client on Board, Does it Matter Who You Buy Your Melamine Plates From? It depends. If you’re in the market for pure, NSF-certified melamine dinnerware from the provider with the largest depth and breadth of on-trend selections, you should work with G.E.T. If that’s not important, there are plenty of other players in the game. 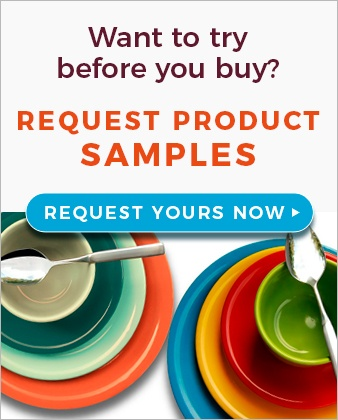 Assuming you want to get samples into your client’s hands, which is the best way to show them just how far melamine has come, G.E.T.’s generous sample request program is the perfect platform for you. Even better, most samples are free of charge for dealers. It’s up to you who you partner with, but here at G.E.T., we know your success is tied to ours. That’s why we’re constantly seeking ways to support you, help you make the sale, and give you tools (like this handy article and more on our blog) to bring creative solutions to your clients. Now that you’ve got your client interested in melamine plates, get that sample, close the deal, and enjoy the commission.